• Made in Italy, RCR crystal is renowned for being of the highest quality. 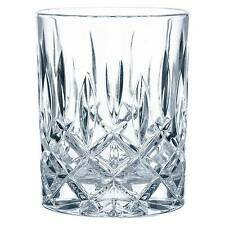 Add a touch of sparkle to your dinner table with these six crystal high ball tumblers. CRYSTAL CUT DESIGN. PLASTIC GREAT FOR OUTOORS. Lead Free Clear Crystal with Traditional Pinwheel Design. 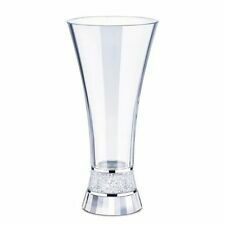 Stunning Large Lead Free Crystal Glass Vase. 1 x Crystal Glass Vase. Your Right to Cancel ?. Faulty products ?. Claims, other than the right to correction of faults with the product covered by these conditions. In Hinduism, Most Of Gods And Goddesses Are Associated With The Symbol Of Lotus. The Lotus Is Also Associated With Buddhism. The Buddhist Sutras Say That The Lotus Has Four Virtues: Scent, Purity, Softness And Loveliness. Set of Glass - 6 Glasses. Beautiful pair of heavy glass candlesticks. I have a bit of an obsession with glass candle holders so I have too many - not sure if I ever used these they certainly don’t look like I have. Set of Glass - 6 Glasses. Material:- Glass. Irish Crystal Glasses And Decanter. Condition is Used. Dispatched with Royal Mail 2nd Class. It is in perfect unused condition with the Silea label. It stands 32. 5 cm to top of stopper & 13 cm across widest part of oval shape body, &. 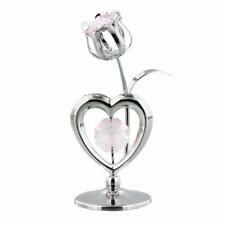 It has a sleek clear stem with leaves and a lovely Red Crystal Rose Bud. You can arrange it to catch the light and make a lovely eye-catching display. This beautiful Red Crystal Rose makes a perfect gift and is sure to look great in any room. Decanter is quite 'furred' up and needs a proper clean with an appropriate cleaner. Set of 12 glass set. CHANNEL ISLAND. ISLE OF MAN. ISLE OF SCILLY. ISLE OF WIGHT. 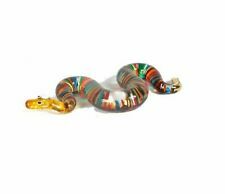 This auction is for a job lot of vintage glass decanter stoppers. The largest is just under 5” long. Some have little chips. (Cut Glass Small Decanter and Stopper. The Stopper may not be original. the Stopper). 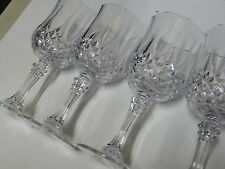 BOXED set of 4 Capri Crystal Wine Glasses 24% lead Crystal. BOXED SET OF 4 UNUSED CRYSTAL WINE GLASSES. 4OZ, EACH GLASS . Beautiful Decanter Which Was In My Grandparents Home Over 30 Years . Crystal. Condition is Used. Dispatched with Royal Mail 2nd Class. 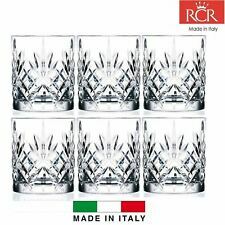 Set of 6X RCR Italian Crystal Whisky Tumblers Oasis Glass 32cl In Gift Presentation Box, -. 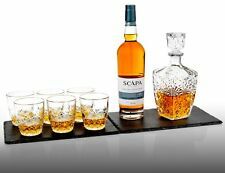 Whether you enjoy your whisky over ice, as a cocktail or with a splash of water, it should always be served in the finest whisky glass, and this set of RCR tumblers is ideal. There is only one stopper between the two decanters, it does fit either. Made in Italy, RCR crystal is renowned for being of the highest quality, with a lovely luminous effect which reflects light and gleams. Get creative with party centrepieces – you can fill the bowl with seasonal fruit and flowers for a personalised finish to your table. New listingRare Vintage Clear Glass Decanter Marked 'LIQUOR BOTTLE SCOTLAND'. This is a very rare Scottish made decanter in an Art Deco style. 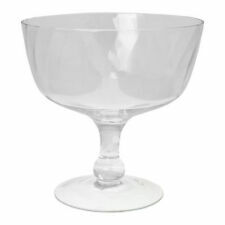 Clear glass with moulded makers details on the bottom. I have added a drawn picture of the marks in case the photos are not clear enough. Large cut crystal vase. Cash on collection from Camberley in Surrey. 3 Cup, 0.35 ltr, Spare glass liner for BODUM French Press Carafe. Made with heat resistant borosilicate glass. Spare glass with spout. 3 cup, 0.35 L, 12 oz. Made from heat resistant borosilicate glass. Cross hatch pattern with a star cut base. Small decanter and matching glasses. Buy-it-now price for all 6 vases £23.99. They are Salisbury Cathedral Crystal by Dema Glass Ltd.
New listingVintage Cristal D' Arques France Glass Hobnail Decanter 10 inches (25cm). This is a classic style hobnail glass decanter with its original stopper and sealing ring (not visible in photos. 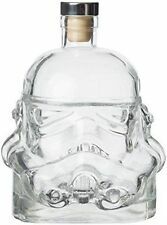 Sits between stopper & top of decanter). Royal Scot Crystal Bowl with gift box. Condition is New. Dispatched with Royal Mail 2nd Class. Nice Cut Glass Small Decanter, lacking its Stopper. Good quality. GLASS DECANTER. Made by Capri in Italy. This item has been used and there is no box. Crystal Ornament . Condition is Used. Dispatched with Royal Mail 2nd Class signed for delivery. Very good condition and boxed. Cut glass rose bowl excellent condition like new. Glass Bird Ornament. Condition is Used. Dispatched with Royal Mail 1st Class. PAIR OF VINTAGE OLD WHISKEY TUMBLERS MADE FROM OLD LEAD CRYSTAL DIAMOND CUT.